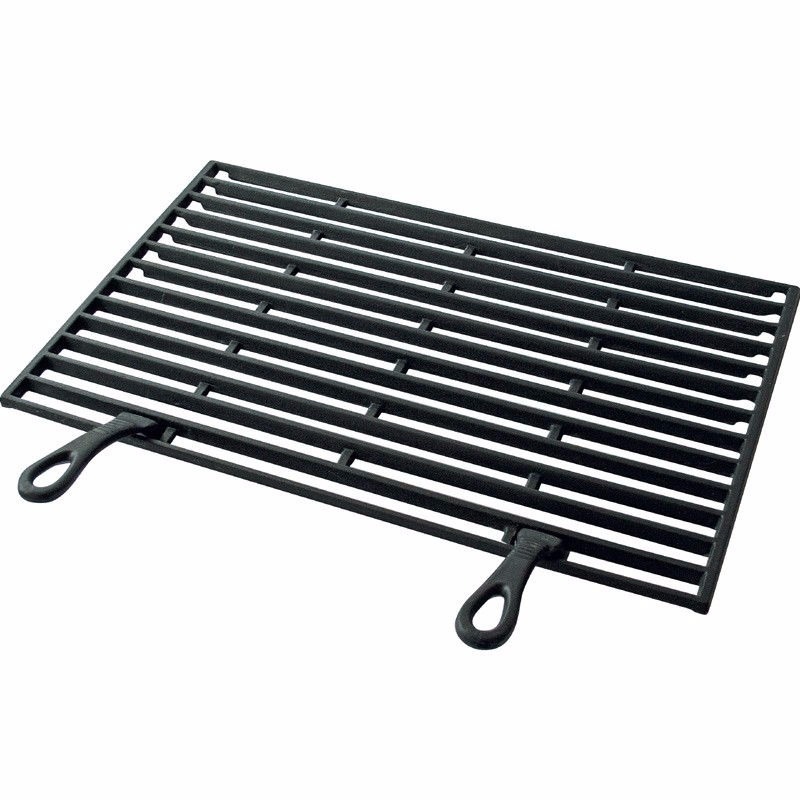 Cleverly designed, the Buschbeck cast iron porcelain coated reversable cooking grill features inverted "V" cooking bars. This allows one side to focus the heat into the cooking bars for those perfect sear lines, whilst the other side features grooves that channel away excess cooking juices (ideal for grilling fattier food such as belly pork or ribs). 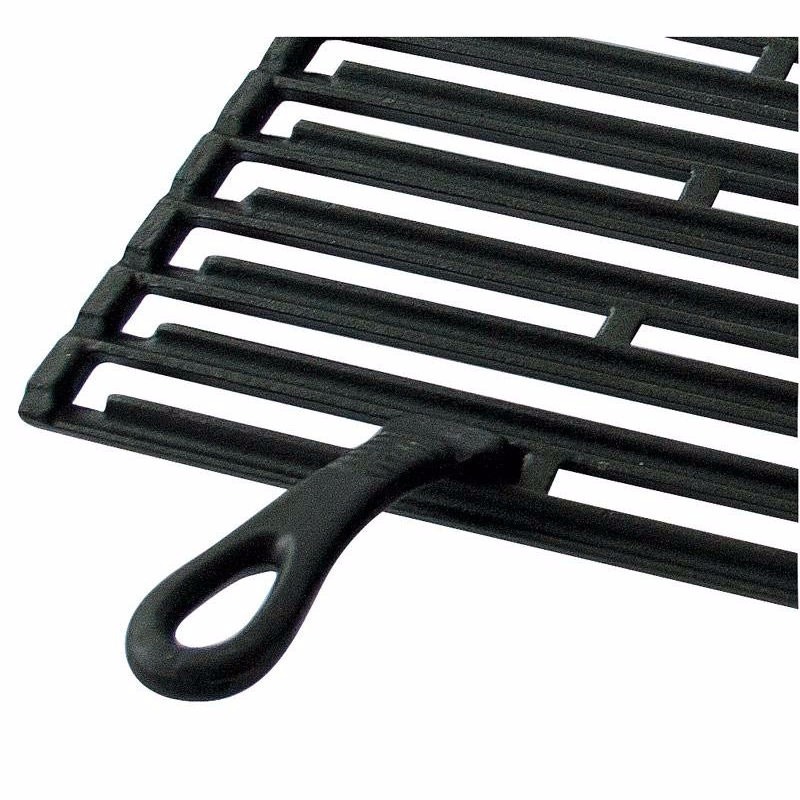 The porcelain enamelled coating allows the grill to be cleaned more easily after use, whilst preventing corrosion to the grilling surfaces of the grill. Comes with two removable cast iron handles.